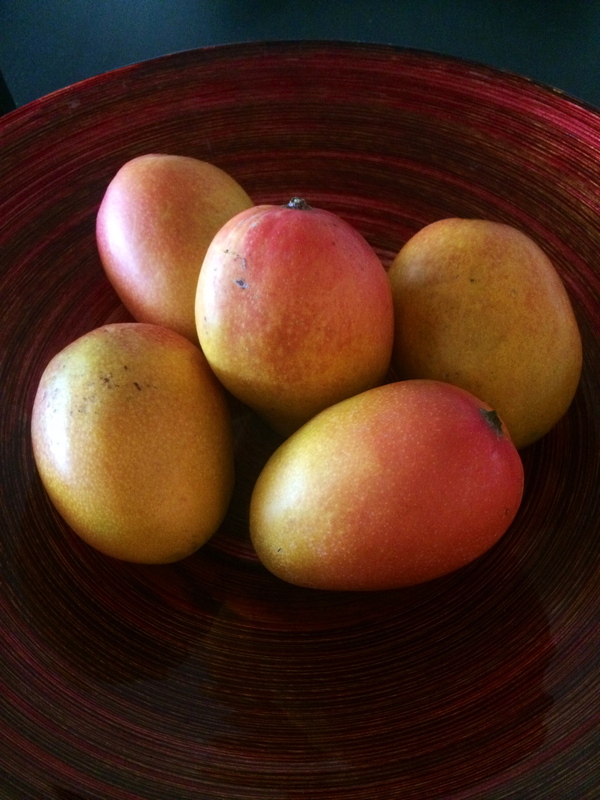 Mango season is here in Miami! I love love love mangoes and I am fortunate enough to have great friends and family who have a mango tree in their backyards! I live in an apartment so my dream of growing my own fruits and vegetables is still far away. I got these yummy mangoes and they made the entire room smell soooooo good! I thought it is so hot outside and they will be perfect for ice cream! 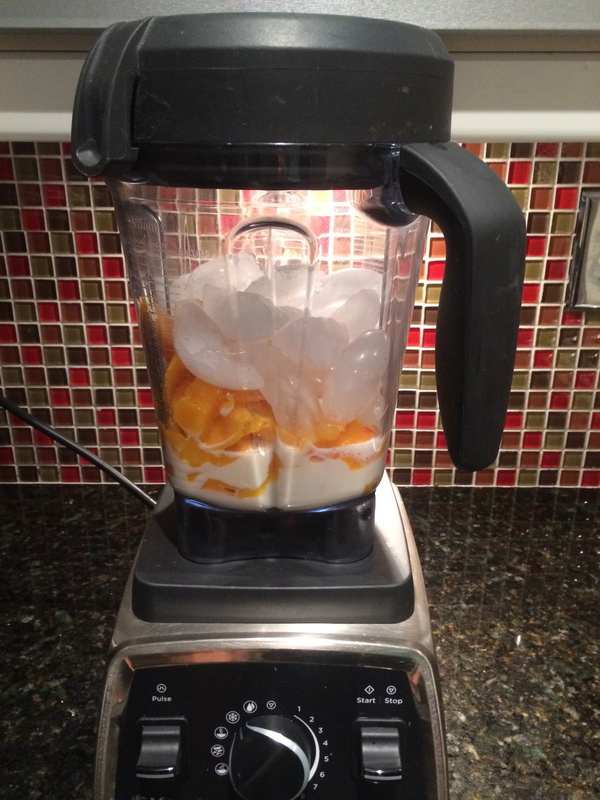 I didn’t realize how easy it was to make it, and I have my own ice cream machine my Vitamix Professional Series which is not only the best blender for smoothies but also makes ice cream! This is such an easy recipe: some ice, milk or water and magoes. That’s it! 3 ingredients and you have a delicious summer treat! Mangoes are really sweet so there is no need to add any sugar, making this recipe a healthy snack or dessert option. Pure mango flavor! You can try this recipe using water, coconut water, or any type of milk: dairy or non-dairy. I am now experimenting with almond milk and the reason why I used it to make the ice cream. The ice cream came out super yummy! I am also adjusting the recipe for you to calculate the amount of ice and liquid you need for each mango. 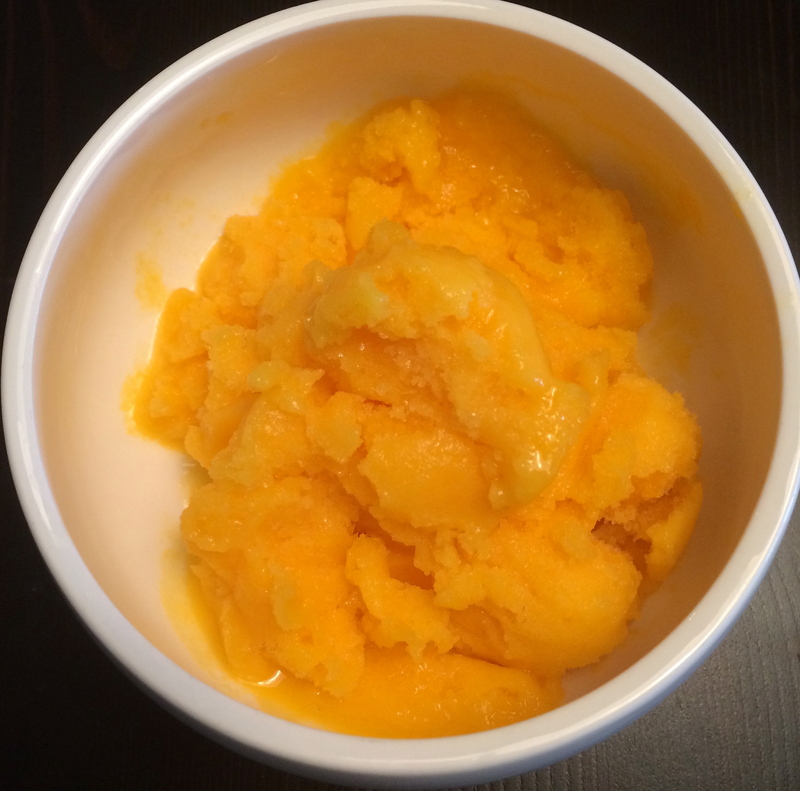 I made a big container with 3 mangoes so you might want to see how much you want to make. For every mango use the amount indicated in the ingredients. Blend and enjoy! 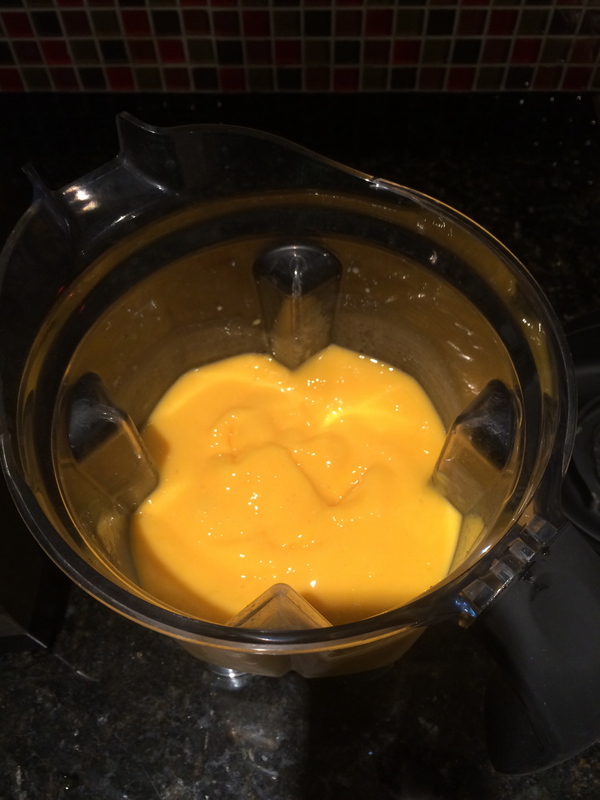 If you don’t have a high speed blender you need to blend and freeze for a couple of hours in a closed container. If you are using a regular blender you can also use less ice and more milk or water because you will freeze it anyway. This is also a great smoothie or ice pop recipe if you add more liquids. Enjoy!